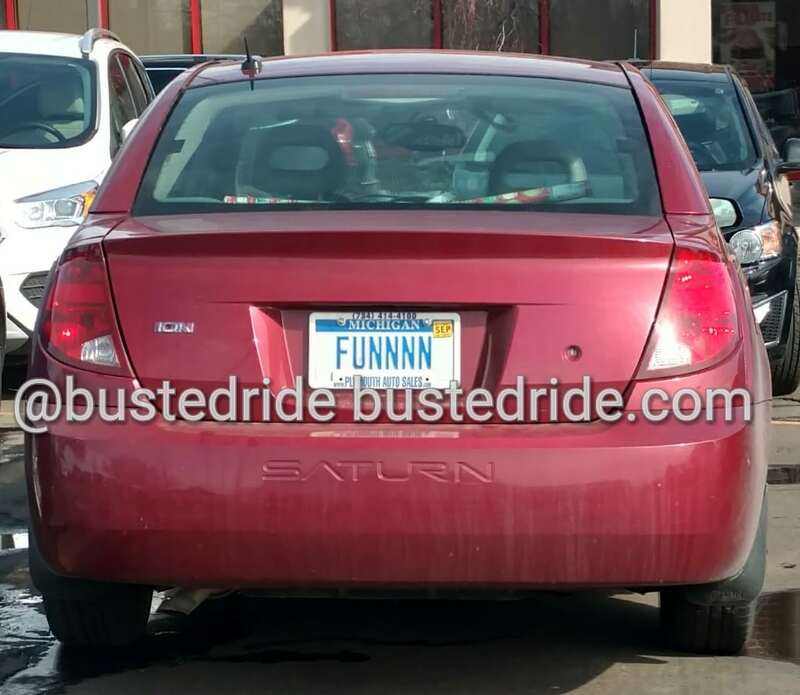 We’re quite certain that this vanity plate Funnnn does not in fact reference the Saturn Ion that it is screwed onto. As we know that pretty much all Saturn’s (save for the Sky) were boring vehicles. So we’re holding out some hope that the driver is at least Funnnn, and worth all 4 N’s.